(NaturalNews) When it comes to medical authorities, human rights no longer exist, especially if you are under the age of 18. Competent young people with informed objection to medical advice no longer have a choice or say over what is forcibly pumped into their bodies. Their parents have no say in what happens to their child anymore either. State departments threaten to take adolescents away from parents if they do not force their child to comply with medical treatment dictates. If a state-licensed doctor makes a cancer diagnosis on a 17-year-old, they will require specific treatment, chemotherapy and/or radiation. They give no other options and force the "treatments" even though it is not their body or their property to own and control. On top of that, both methods of cancer suppression management are toxic to patients' bodies, and the general population is waking up to this fact, but if a parent or the adolescent disagrees with the medical authority, it doesn't matter what they know -- they are forced to succumb anyway. Of course, chemotherapy is done in the "best interest of the child or adolescent," so they say, but whose decision is that? This ideology strips parental rights and shreds human rights, cutting up a family's liberty to seek real treatment. There's ways to defeat cancer that don't require the destruction of one's cells in the process. There are ways to work with the immune system of the patient instead of destroying it. These methods are especially more powerful in adolescents, since their bodies are younger and more apt to heal naturally. Poisoning their system at such a young age could lead them down a path of ongoing illness through their life, including reoccurring cancers. It's a fact that chemotherapy and radiation do nothing to prevent or cure cancer at its roots. It's only poison. 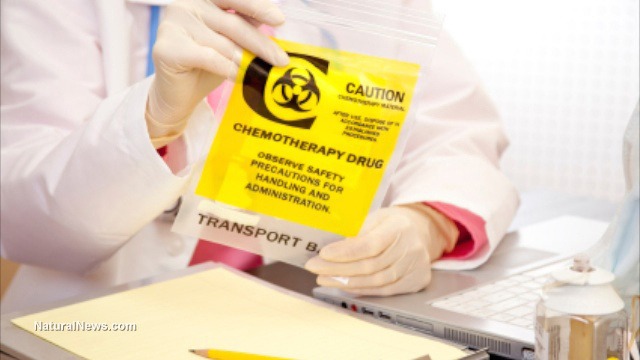 That's why people who are forced or coerced to undergo chemotherapy experience ongoing health issues, pain, nausea, hair loss, immune system suppression and fertility changes, among other side effects. No one should be forced to undergo something against their will, especially when they have the knowledge to seek real treatment elsewhere, treatment that doesn't damage their body for life. But that's exactly what's happening in Connecticut. A 17-year-old girl named Cassandra has refused chemotherapy for her body but is being forced against her will to take the poison. She was diagnosed with Hodgkin's lymphoma in September. Her mother supports her decision, but the Department of Children and Families isn't happy with their decision. The state is ordering the mother to comply with the chemotherapy mandate and force her 17-year-old daughter to submit. The case has headed to the Connecticut Supreme Court. According to the family's attorney, Michael Taylor, the case is about whether Cassandra (and every free American) has "the fundamental right to have a say about what goes on with your body." In November, Cassandra underwent two chemotherapy treatments, something she didn't want to do. After the second treatment, she started refusing them. She ran away from home in November. When the authorities caught up to her, a court date was set and doctors testified. The parents lost custody of the 17-year-old. Now, Cassandra is living at the Connecticut Children's Medical Center and is being forced to undergo three weeks of chemotherapy against her will. The verdict read, "Following a hearing at which Cassandra's doctors testified, the trial court ordered that she be removed from her home and that she remain in DCF's care and custody. The court also authorized DCF to make all necessary medical decisions on Cassandra's behalf." Cassandra understands the risk to her health of not undergoing chemotherapy and the risks of undergoing chemotherapy. She is fully competent and wants to deal with cancer in a much different way from what the medical system dictates. The final decision of the court will have a strong impact on freedom of medical choice in America and will set a precedent on whether minors have bodily autonomy in cases where they show informed objection to medical dictates.